Stingray on Region 2 DVD! The year is 2065, and the world is united in peace. Mankind has conquered the stars, so attention turns to the exploration of the oceans. The vast, uncharted depths provide valuable minerals, but also hide new and mysterious alien races, not all of whom are entirely friendly. The Aquaphibians take offence to the surface dweller's forays into their undersea kingdom. Titan, their ruler, swears to invade the surface world in revenge. All that can stop him is the World Aquanaut Security Patrol - WASP. Click on the picture to see more details and order this DVD Set from Amazon UK. The year is 2065, and the world is united in peace. Mankind has conquered the stars, so attention turns to the exploration of the oceans. The vast, uncharted depths provide valuable minerals, but also hide new and mysterious alien races, not all of whom are entirely friendly. The Aquaphibians take offence to the surface dweller's forays into their undersea kingdom. Titan, their ruler, swears to invade the surface world in revenge. All that can stop him is the World Aquanaut Security Patrol - W.A.S.P. Headquartered at Marineville, W.A.S.P. is an ocean police force tasked with patrolling the sea to protect the world from enemy threats. Stingray, an advanced submarine belonging to W.A.S.P. is crewed by pilot Troy Tempest and hydrophones operator Lt. George 'Phones' Sheridan. They are assisted by the underwater-breathing Marina, rescued from Titanica by Troy in the first episode. Her father is Aphany, ruler of the undersea kingdom of Pacifica. In between fighting the terror fish of the evil Titan and his amphibians and outwitting their agent X20, Troy is caught in the eternal triangle with the non-talking Marina and Atlanta, the daughter of Commander Shore, head of their Marineville base. 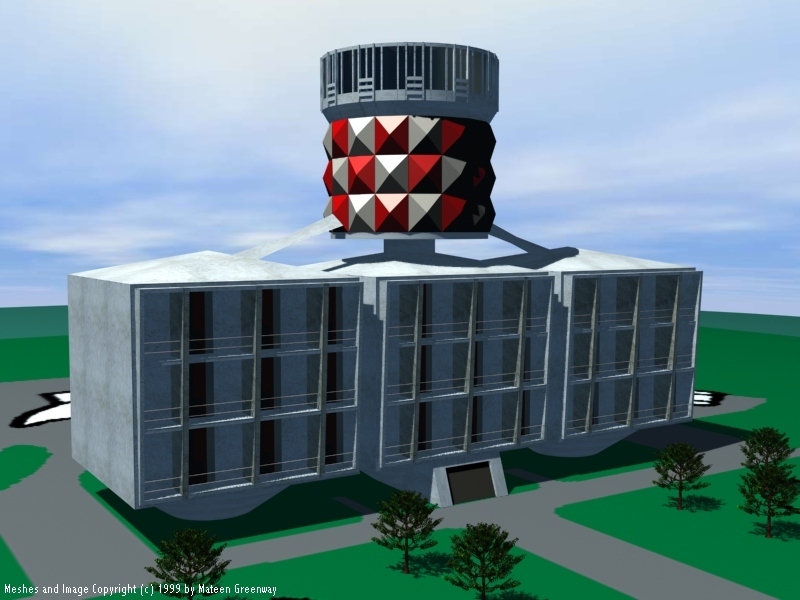 The Marineville Control Tower is mounted above the operations building, At the heart of the tower is the Master Control Room, which acts as the nerve center of Marineville. During a hostile attack, "Battle Stations" is sounded and the entire complex descends beneath the surface, protected by enormous steel and concrete shutters. In addition to its military taskings, WASP also provide Search and Rescue cover for all of the world's oceans, 24 hours a day and 365 days per year, typically at 15 minutes notice. Based at Marineville, WASP aircraft and helijets are constantly available and fly missions that are as varied as they are far-reaching. In recent months, missions have included long range medical evacuation from ships at sea, assistance to vessels in distress, cliff fallers, swimmers, divers and surfers. Additionally, several hospital-to-hospital transfers have been flown. Often missions are international in nature - the rescue of foreign mariners, assistance to foreign flagged vessels, etc..
To learn more about the work of Gerry Anderson visit the Supermarionation home page. Stingray on VHS tape and Region 2 DVD! Click on the picture to see more details and order this VHS tape or DVD Set from Amazon UK.